Believe it or not, the first cold fusion power plant is now available to pre-order. 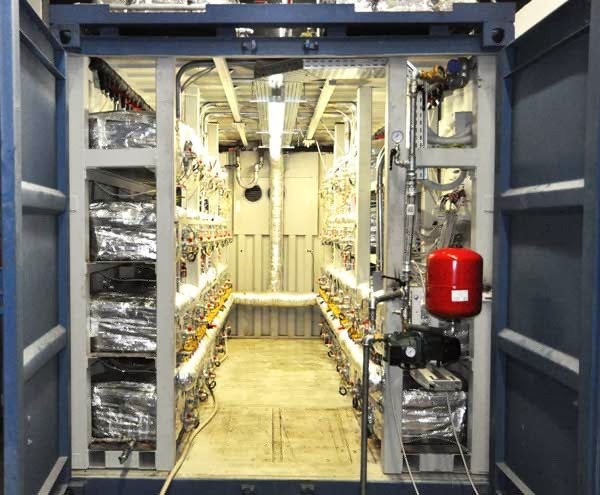 The E-Cat 1MW Plant, which comes in a standard shipping container, can produce one megawatt of thermal energy, using low-energy nuclear reactions (LENR) a process, often known as cold fusion, that fuses nickel and hydrogen into copper, producing energy 100,000 times more efficiently than combustion. It sounds like E-Cat is now taking orders for delivery in early 2014, priced fairly reasonably at $1.5 million. Has cold fusion the answer to all our energy needs finally made its way to market? 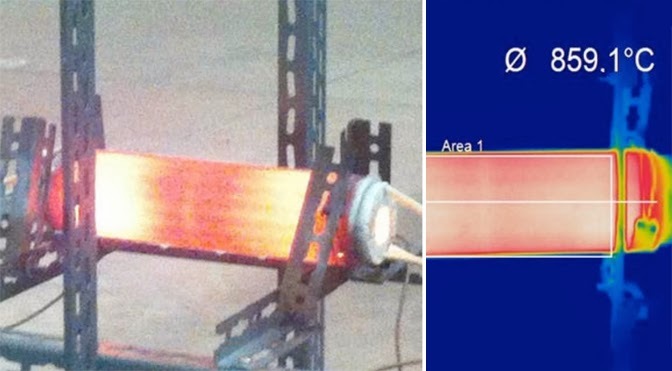 E-Cat, or Energy Catalyzer to give its full name, is a technology (and company of the same name) developed by Andrea Rossi an Italian scientist who claims he’s finally harnessed cold fusion. Due to a lack of published papers, and thus peer review, and a dearth of protective patents which you would really expect if Rossi had actually discovered cold fusion the scientific community in general remains very wary of Rossi’s claims. Cold fusion, as the name implies, is like normal fusion but instead of producing fast neutrons and ionizing radiation that decimate everything in their path, cold fusion’s low-energy nuclear reactions (LENR) produce very slow, safe neutrons. 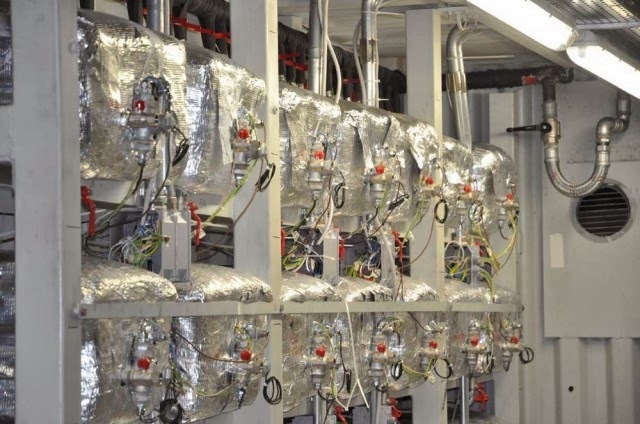 Where normal fusion requires massive, expensive containment systems, it sounds like E-Cat’s cold fusion can be safely contained inside a simple, pressurized vessel. While normal fusion power is generated by fusing hydrogen atoms, cold fusion fuses nickel and hydrogen into copper, by way of some kind of special catalyst (Rossi’s secret sauce). Despite the rudimentary setup, though, cold fusion still has the massive power and energy density intrinsic to atomic fusion earlier this year, when Rossi finally allowed some independent scientists to take a look at his cold fusion tech, a prototype E-Cat device had around 10,000 times the energy density and 1,000 times the power density of gasoline. According to E-Cat, each of its cold fusion reactors measures 20x20x1 centimeters, and you stack these individual reactors together in parallel to create a thermal plant. 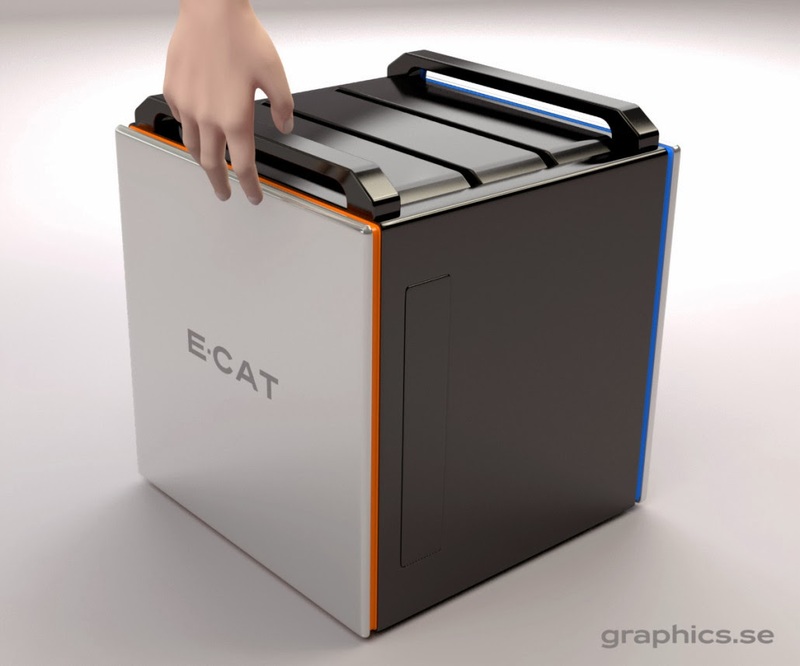 Pictured right is a computer-generated render of an E-Cat Home Unit, which is essentially a bunch of reactors stacked in a box. The E-Cat 1MW Plant consists of 106 of these units rammed into a standard shipping container. For now, this is just a thermal power plant it produces warm water and steam. In theory you could strap an electric generator to the 1MW plant to produce cheap, clean power but for some reason E-Cat doesn’t seem to be talking about that just yet. The fuel cost works out to be $1 per megawatt-hour, apparently, which is utterly insane coal power is around $100 per megawatt-hour. Before we get too excited about the commercialization of cold fusion which would probably be the biggest technological advance since writing or agriculture we should remember that Rossi is still being incredibly opaque about how his cold fusion tech actually works. The data sheet for the 1MW Plant tells us one interesting tidbit, though: Despite producing 1MW of power, the plant requires a constant 200 kilowatts of input power presumably to sustain the reaction. The spec sheet also says that the fuel (specially treated nickel and hydrogen gas) needs to be recharged every two years. One of the science community’ biggest sticking points about Rossi’s cold fusion devices is that he hasn’t proven that his LENR is self-sustaining. Despite a huge amount of output energy, the device still needs to be connected to the mains. The good news is that, when E-Cat starts shipping its 1MW Plants, and third-party scientists can freely poke around, we will finally know if Rossi has created cold fusion or if it’s just pseudoscientific snake oil.